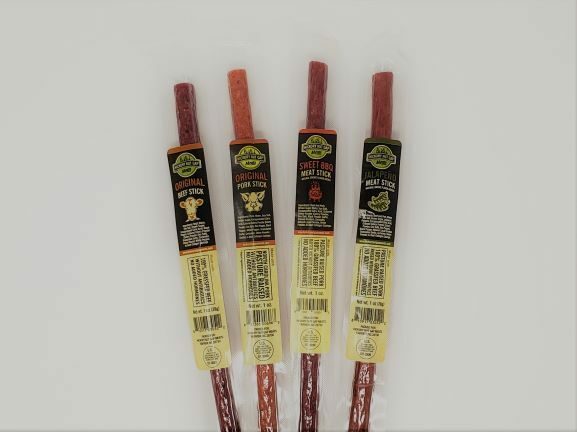 Our newest product comes in four unique flavors: Original Pork, Original Beef, Jalapeno, and Sweet BBQ. 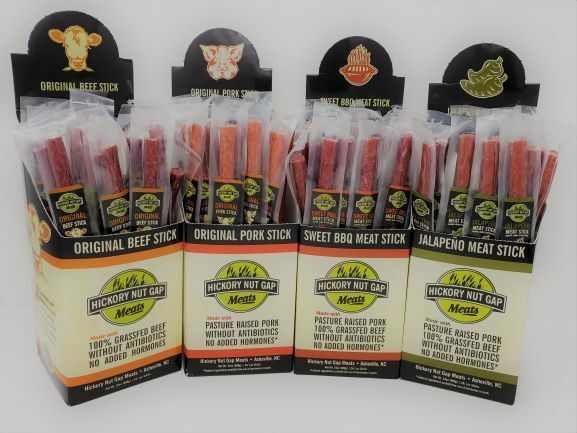 All are made from 100% Grassfed Beef and Pasture Raised Pork. 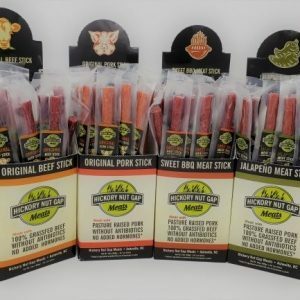 Free from antibiotics and added hormones, these meat sticks are great for on-the-go and are shelf-stable for up to a year. They also come in an easy-open package, so you’re that much closer to enjoying this tasty snack! Original Beef Ingredients: Beef, water, sea salt, brown sugar, encapsulated citric acid, black pepper, cultured celery powder (celery powder, sea salt), granulated garlic, onion powder, white pepper stuffed in beef collagen casings. 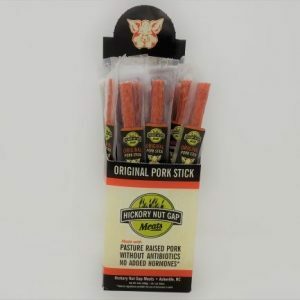 Original Pork Ingredients: Pork, water, sea salt, brown sugar, encapsulated citric acid, cultured celery powder (celery powder, sea salt), red pepper, black pepper, white pepper, granulated garlic, coriander, onion powder, stuffed in beef collagen casings. Jalapeno Ingredients: Beef and Pork, water, sea salt, brown sugar, jalapeno peppers, encapsulated citric acid, cultured celery powder (celery powder, sea salt), red pepper, black pepper, natural liquid smoke, granulated garlic, coriander, onion powder, stuffed in beef collagen casings. 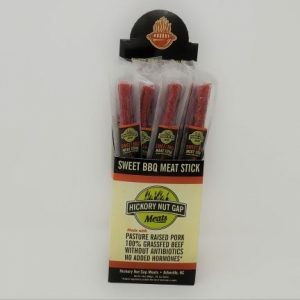 Sweet BBQ Ingredients: Beef and Pork, brown sugar, water, sea salt, encapsulated citric acid, cultured celery powder (celery powder, sea salt), black pepper, garlic, ground mustard, coriander, natural liquid smoke, onion powder, stuffed in beef collagen casings.